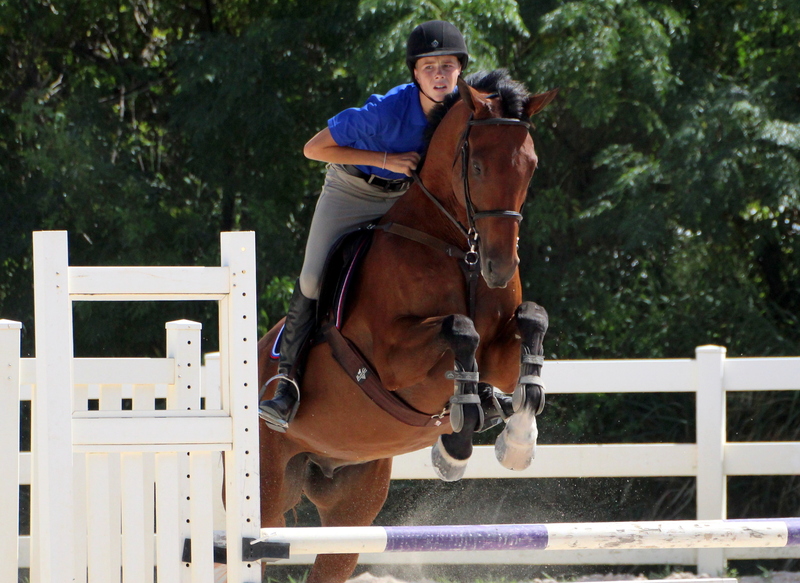 The Bermuda Equestrian Federation hosted the Inwood Jumper Show at the National Equestrian Center on Vesey Street. Courtney Bromby riding Worth the Wait won the Horse Jumping 1.20m With a Jump Off Class, the pair clocked a Clear First Round and then clocked a time of 40.26, but they had 4 Penalty Fault Points in the Jump Off, Phillip Correia and Hornelli finished second after recording a Clear First Round, but they had 4 Penalty Fault Points in the Jump Off clocking 41.21. Christian Truran and De Le Vega won the Horse Jumping 1.15m With a Jump Off Class, they clocked a Clear Round time of 70.94, while Correia and Hornelli finished second after clocking a time of 103.78, they also had 16 Penalty Fault Points. During the Horse Jumping 1.10m With a Jump Off Class, Cody Rego riding Casanova clocked a Clear First Round and then clocked a Jump Off Clear Round winning time of 35.32, Courtney Bromby and Worth the Wait finished second with a Clear First Round and then a Clear Jump Off Round time of 36.66 and Mackenzie James and Up Up & Away finished third with a Clear First Round and a Jump Off Clear Round time of 43.88. In the Pony Jumping 0.85m Class, James and Happy Feet clocked a Clear Round winning time of 64.39, Kayla Bardgett and Wintermint finished second with a Clear Round time of 73.60 and Candyce Martins and Crème De La Crème finished third with a time of 62.93, but they had 3 Penalty Fault Points.